The focal on this necklace was sent to me by my friend Steph (aka Vladthebat.) It is a clay replica of an ammonite fossil that she created. 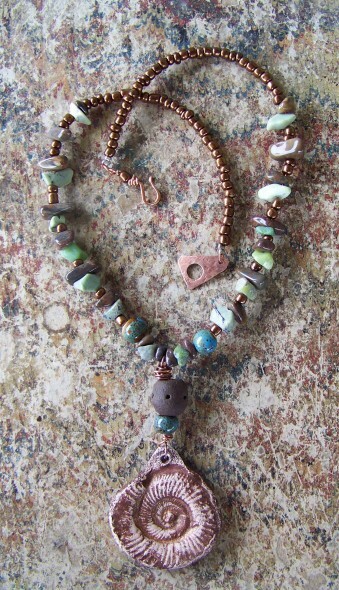 I painted it and added the other gemstone and glass beads to match. This will be available at the Artisans Party next week on Thursday, Feb. 2 at Art Candy in downtown Columbia, TN. The party is from 5:30 until 8:30 p.m. Come join the fun! 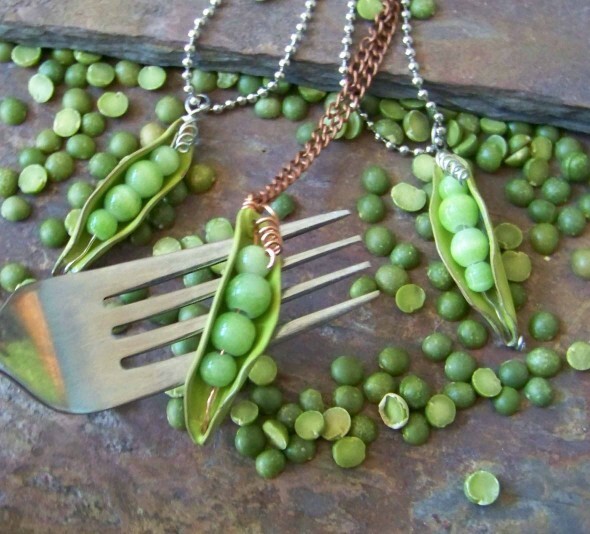 My husband has been telling me that I need to make some more pea necklaces. I finally did some with a new twist of enameling the pods with my torch fired enamel. These are coming up for sale at an upcoming open house art show that I am doing with some local artisans. The show will be at Wall Candy which is a frame and art shop just off the square in Columbia, Tennessee. 116-B West 7th St. on Thursday, December 1 from 5:00-8:00 p.m. There will be food, live music, and a wine tasting by Lexington Vineyard.